Your pets can now benefit from laser therapy; a drug-free, surgery-free, and non-invasive alternative to help alleviate pain and stimulate healing. Laser therapy – also called Low-Level Light Therapy (LLLT) or Photobiomodulation is a form of therapy which uses a beam of light to reach the targeted tissue without damaging healthy tissue. Once the laser light has reached the targeted tissue, photobiomodulation can stimulate the healing process and provide pain relief. In order to achieve therapeutic levels of photobiomodulation, the light from the laser equipment must reach deep enough into the cells within the tissue. Why did the veterinarian recommend laser therapy for my pet dogs and cats? The Laser therapy our doctors recommend here at CoastView Veterinary, Companion Animal Health by LiteCure, may also be known as low-level light therapy (LLLT), or as a “Cold” laser. 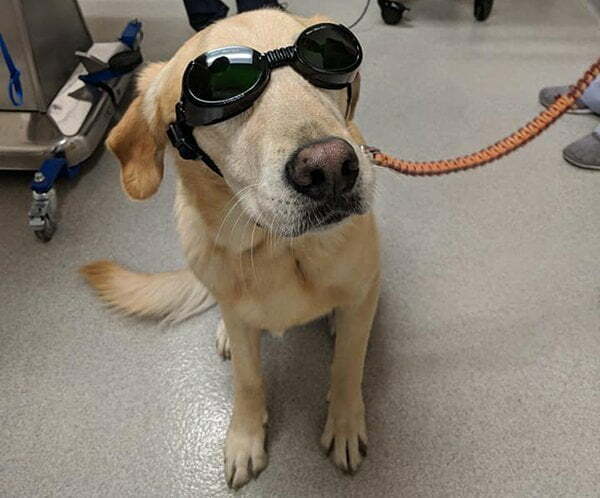 This type of laser therapy has proven helpful for many pets as it can boost the healing process related to several illnesses or injuries we see in pet dogs and cats. Since seeing is believing, here are a few “Before and After” videos provided by Companion Animal Health. Which symptoms, illnesses or injuries may warrant the appropriate use of laser therapy? How can photobiomodulation through laser therapy help my pet? Improving blood flow to specific areas through the development of new blood vessels. Increasing collagen production which reduces scars and improves the elasticity of the skin. Increasing cartilage production through fibroblasts. Increasing bone and callus formation. In addition, the overall effect of the treatments may boost serotonin and endorphin release, decrease heart rate, and calm nerves. All of which can help with pain relief. Is laser therapy safe for my pets? We take safety seriously here at CoastView Vet. Because we are using what the F.D.A. has classified as a Class IV laser, we take extra precautions. Most importantly is the use of eye protection. Laser light should never be directed into the eyes of pets or people. That’s why you’ll see us wearing safety goggles (or doggles) to further protect eyes from laser beams. The above image is Beau, sporting his doggles. This Class IV laser is different than the medical or surgical lasers you may have seen elsewhere. Our system is used only for photobiomodulation to boost healing and decrease pain – not for surgical procedures. Our light therapy is applied through the Companion Laser Therapy system and a handheld wand device applied directly to the surface of the skin. With pets, the treatment area is likely to be covered in fur, feathers, scales, etc. Your veterinarian will account for a variety of factors to help ensure the right dose of the right type of light reaches the right tissue at the right depth. For example, we’ll determine proper wavelength and sufficient laser power, while also taking care to reduce reflection in order to minimize light absorption by molecules not involved in the therapeutic benefits of photobiomodulation. In addition, our laser equipment is programmed with software to assist our staff in selecting the best treatment levels based on a variety of factors including species, weight, treatment area, and the condition being treated. While there is no ‘one size fits all’ protocol, the software is helpful in determining the best starting point. 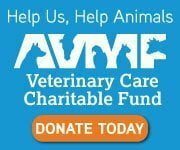 Your veterinarian will make adjustments in order to customize the treatment plan for each individual pet. While there are no known harmful side effects of laser therapy, there are some contraindications; laser therapy should not be used for eyes, cancers, steroid injection sites, etc. What will my pet feel during a laser therapy session? Your pet may feel a gentle and warm soothing sensation. Most pets appear to enjoy this sensation and most treatment sessions take only a few minutes. When can I expect to see an improvement in my pet’s condition? It depends. The specific treatment protocols are tailored to each pet and can vary from pet-to-pet. It also depends on the condition we are treating. For example, we’ve seen improvement after only a single session for pets experiencing skin inflammation, ear issues, and when used as a post-surgical application. On the other hand, for some of our geriatric pets who are experiencing chronic pain from arthritis, these pets may benefit from more frequent sessions over a longer duration of time. Your veterinarian will work with you as we determine the best treatment plan for your precious pet. The above are some of the most frequently asked questions we hear from pet parents about laser therapy. Did we miss anything? Do you have any questions? If so, please feel free to give us a phone call or send an email. We’d be delighted to hear from you.